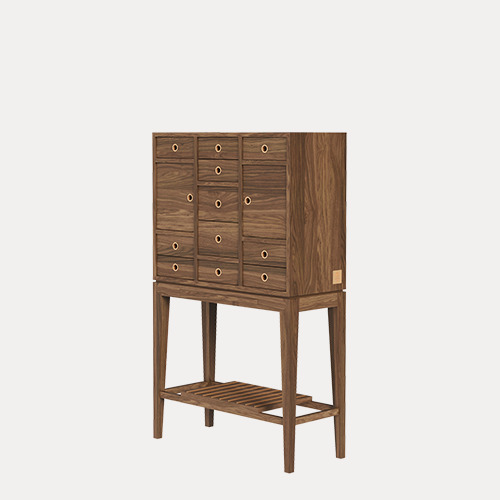 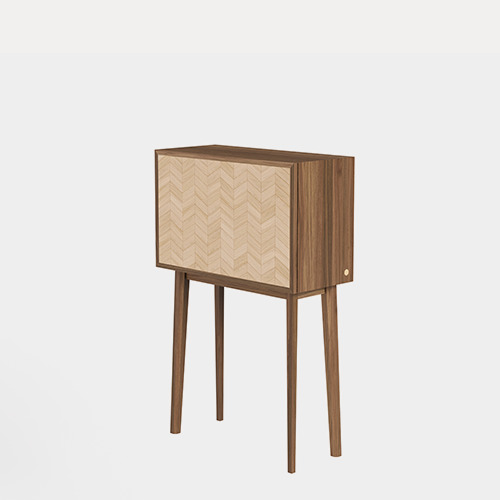 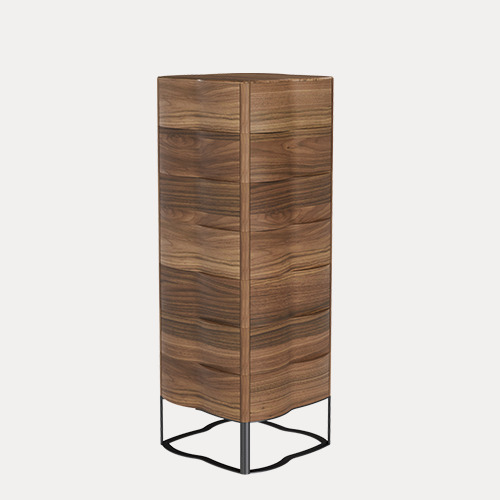 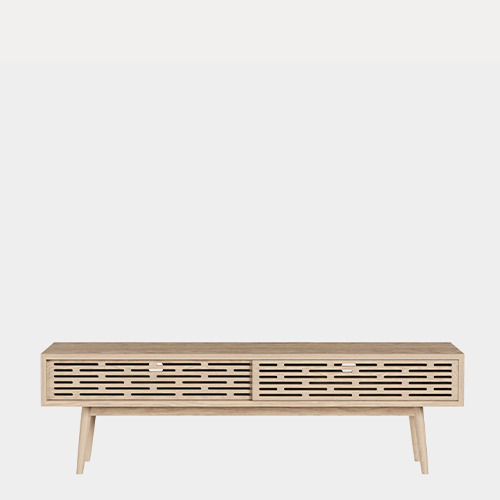 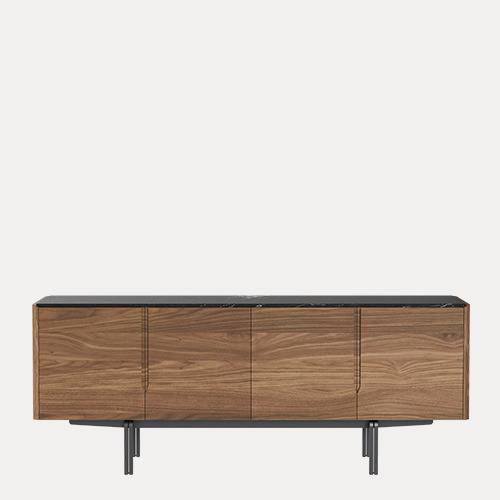 Casanova is a piece in 100% solid wood, which can be a TV cabinet or simply as a sideboard. 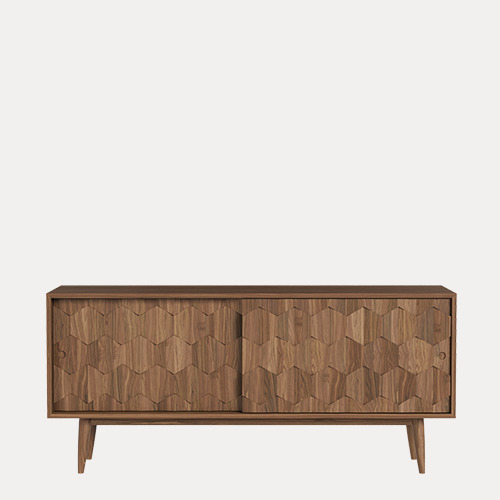 The pattern reproduced on the doors is made from pieces of oak and walnut that are fixed by hand, combining the skilled work of artisans with the high-quality materials. 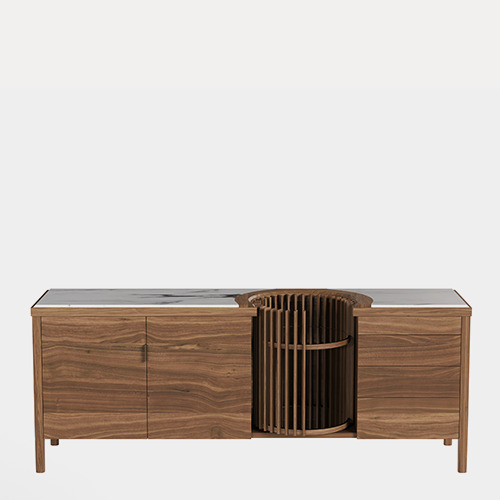 Casanova is composed of five spaces: two cupboards with sliding doors, two drawers and an open space with two adjustable shelves, providing optimal storage space.